Erica Drummer was born on September 23, 1977, in Van Horn, Texas. She enlisted in the U.S. Air Force in March 1997 and was trained in the Security Police career field. 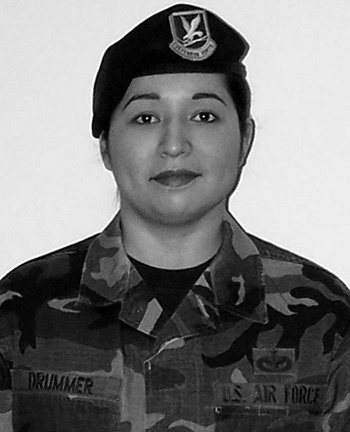 During her time in the Air Force she served at Misawa AB, Japan, Barksdale AFB, Louisiana, MacDill AFB, Florida, RAF Lakenheath, England, and Andrews AFB, Washington, D.C. Sgt Drummer worked as an Installation Entry Controller and Law Enforcement Patrolman, Dispatcher, and as an Investigator. 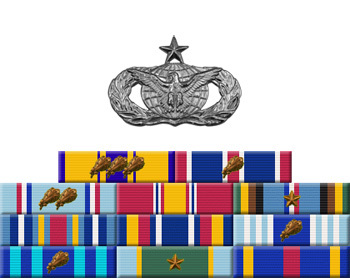 She was honorably discharged from the Air Force in August 2008.